Stop me if you’ve heard this one before: culinary inspiration strikes one weekend, sending you headlong into a colossal farmers’ market/Whole Foods/Costco binge, leading to one magnificent, time-consuming, kitchen-destroying family meal. (After which you run out of steam and eat takeout for the rest of the week.) The End. My family and I were majorly stuck in this cycle, wasting a lot of food and feeling icky from not eating as wholesomely as we should. My market purchases invariably lacked any kind of cohesion, as I shopped without a proper list, and when I did return home the recipes I gravitated towards were often too ambitious to pull off with bored, hungry children whining in the background. Feeding a family is hard work, even for people like me who adore cooking. Actually, ESPECIALLY for those people because they have minutes rather than hours for prep and frequently have to reign in the spices and esoteric ingredients to suit the tastes of persnickety toddlers. Enter Priss & Vinegar’s approach to meal planning, which will get your family on track to wholesome, at-home eating and is sustainable from week-to-week with only a modicum of effort. Above All Else, Be Realistic. Only you can know your tolerance (and availability) for prep work and clean-up, as well as your family’s weekly habits. In my household, this means only planning meals Monday through Thursday as we frequently dine out on weekends and enjoy picking up a Roli Roti roast chicken at the farmers’ market for Sunday supper. I also factor in when I have childcare scheduled, whether my husband will be traveling for work, and our social obligations. Steak tagliata with polenta is a family favorite in our household. Make One Meal For Everyone. (Really.) A lot of parents think this means kids have to get with the program and start eating grown-up food. I consider it more of a compromise where my kids step up their game to include some “green things” and my husband and I content ourselves with Weelicious cheesy turkey meatballs sometimes (which are, truth be told, pretty flipping delicious). Have “Theme” Days. Every week in our home features a pizza night and a taco night. The details change from week to week — a busy week might mean using a pre-made organic cornmeal Viccolo pizza crust or leftover tagliata meat for steak tacos, while a less scheduled week might give way to homemade pizza crust or grilled baja fish tacos. But the predictability of knowing each week that two days are already roughly planned out keeps you from reinventing the wheel every week. And is any food more versatile and dynamic than pizza and tacos? Double Your Efforts. Having an extra refrigerator in the garage of our new home has changed.my.life. If you are lucky enough to have the storage space, double recipes and mise en place items whenever you can. Freezing thoughtfully can also streamline your cooking routine. I made a large batch of one of those kids’ hidden vegetable pizza sauces I always swore I’d never make (Ha!) 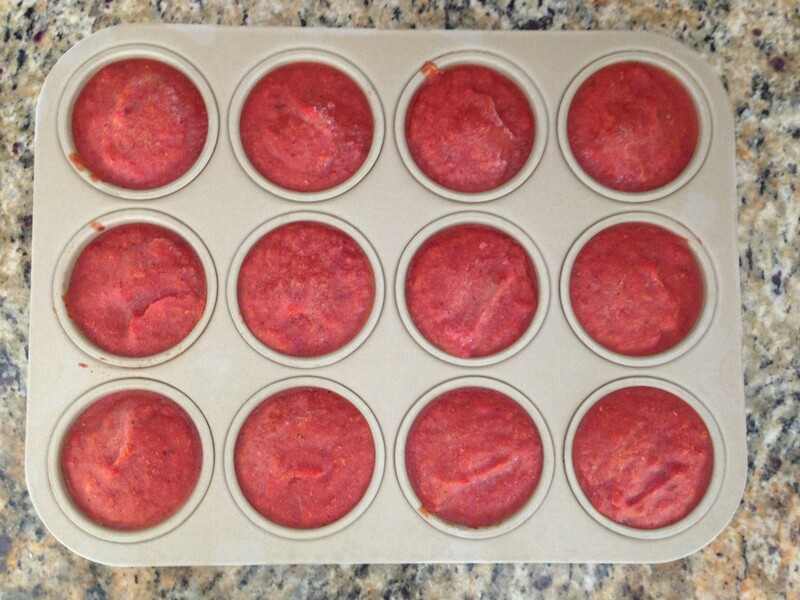 and then froze individual portions in a muffin tin. Each week on pizza night, I only have to defrost a puck or two of pizza sauce and dinner is halfway done. Boom. My sous chef slaving away in the kitchen. Involve The Kids. I’ve written before about involving children in the kitchen, not only because it’s brilliantly educational but also because it buys parents extra cooking time. At three years old, my daughter can measure and pour ingredients, whisk or stir on the countertop, cut soft foods with a butter knife, and fetch items from the pantry. At this rate she’ll be a proper sous by her fifth birthday. To note, these are real pictures of my real family cooking and eating real food. This is an actual family’s life and not a styled photo shoot. That authenticity means something to me (other than that I am an atrocious photographer), and hopefully it means something to you, too.